Over the two weeks of September 9th – 20th 2013, teachers, parents and students from local schools had their first experiences of the tablet computers and draft curricular resource packs that are being developed for the Classroom-In-A-Box project (see here for more information on CIAB). As part of the development process it was considered vital to consult with teachers from the participating TCSSP elementary schools prior to the actual pilot that will take place over a two-week period in November ay Migalsim elementary school. 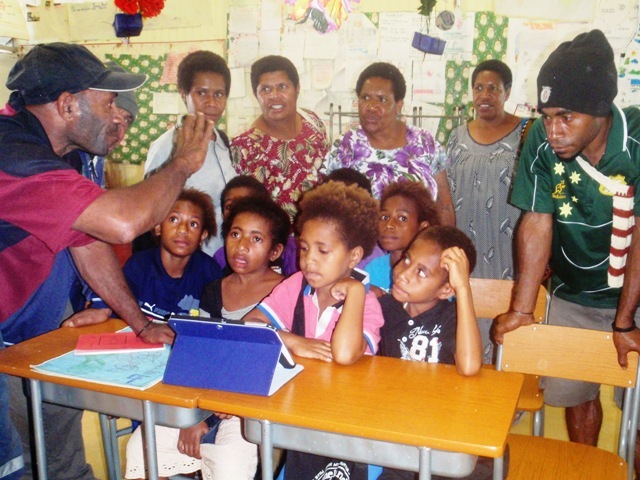 Consequently, two tablets loaded with the draft resource packs for three of the twelve EP sub-strands were brought to Tabubil to be reviewed by SMIT staff, teachers, parents and students. The project is trialling a simple way to introduce (or embed) modern technology into teaching and learning and the provision of quality, up to date resources. 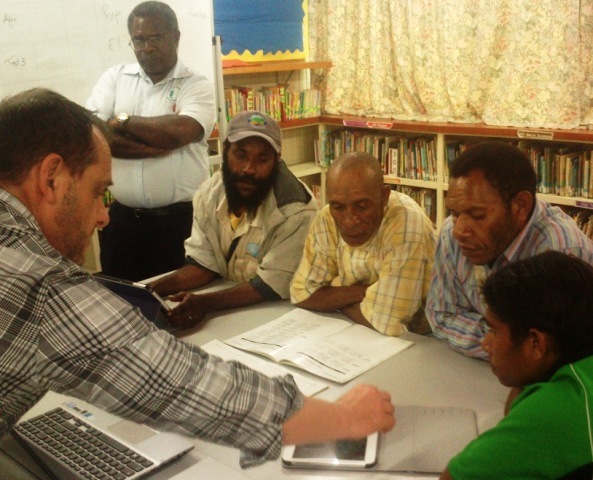 The review meetings were used to get feedback from the teachers who will be using the tablets on the suitability, completeness and formatting of the content, the operability of the technology and (vitally) to ensure that the content fits in with current teaching methods and programming . This feedback will be very useful in guiding the Obvious Choice development team and also to raise awareness of the pilot. 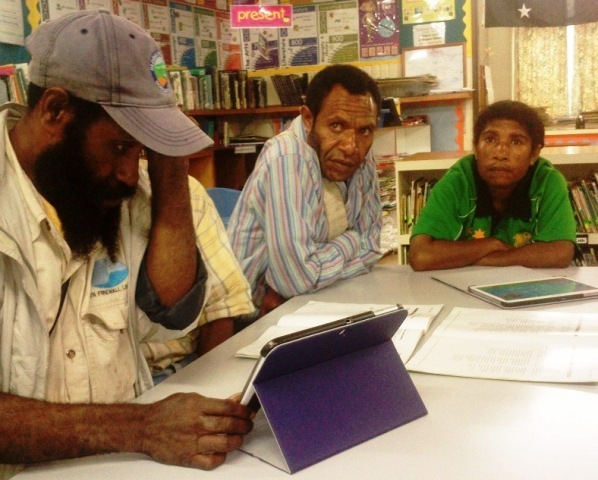 An initial meeting was held with four teachers from Migalsim Elementary and Primary schools. In the ensuing discussions it became obvious that the extension of the pilot to E1 and E2 grades would be highly recommended, to widen the perspectives and dynamics of the pilot and it’s evaluation. Consequently it was decided to cater for at least one or two sub-strands of the E1 and E2 Culture and Community curriculum in the pilot. 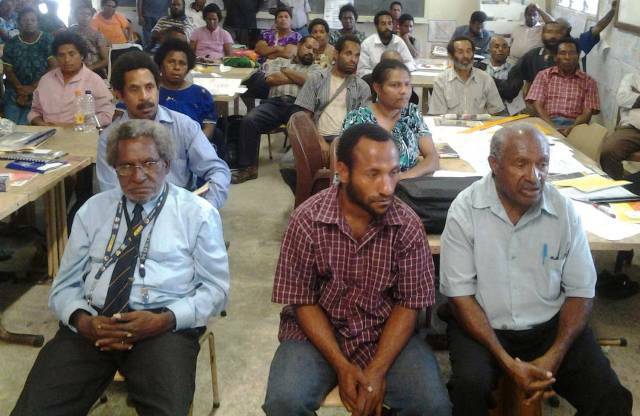 A meeting was held with a group of teachers from the Tabubil International school to seek their reactions and recommendations. The International School is regarded as a key facility for the professional development of teachers in the TCSSP schools and Western Province generally. 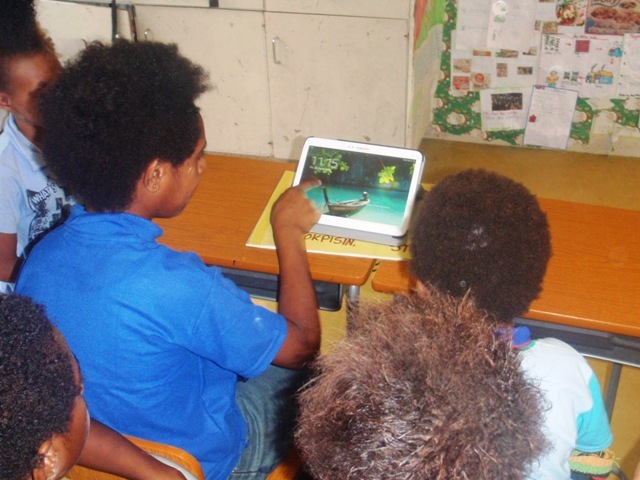 The teachers at the school have good access to quality ICT resources and routinely use them in their teaching, for instance the interactive whiteboards. The main message emerging from this meeting was that the curriculum resource packs should be presented using a style similar to the “Big Book stories” as used in print format in the elementary education system. As the week coincided with a major workshop for most of the teachers in the nearby schools, being held at the Tabubil Primary School, the opportunity was taken to brief them on the progress of the project and invite comments. 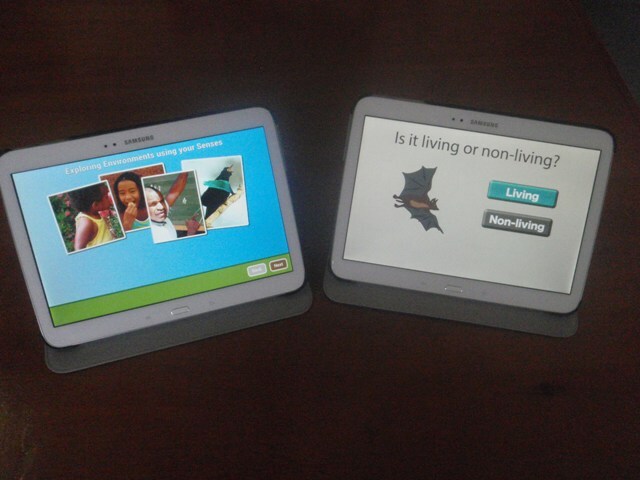 Amongst others, suggestions were made to provide supplementary guide books with examples and references to classroom activities that teachers could use, with the tablets and apps. Finally, a group of parents and elementary grade students from Migalsim were invited to a meeting to gain first impressions of the tablets. 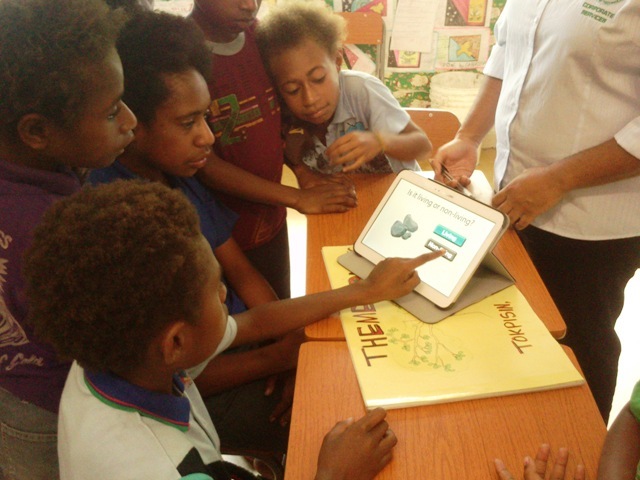 After a briefing by TCSSP manager Rolland Katak, the students were given two hours to play with the tablet computers and try out the resources and apps. 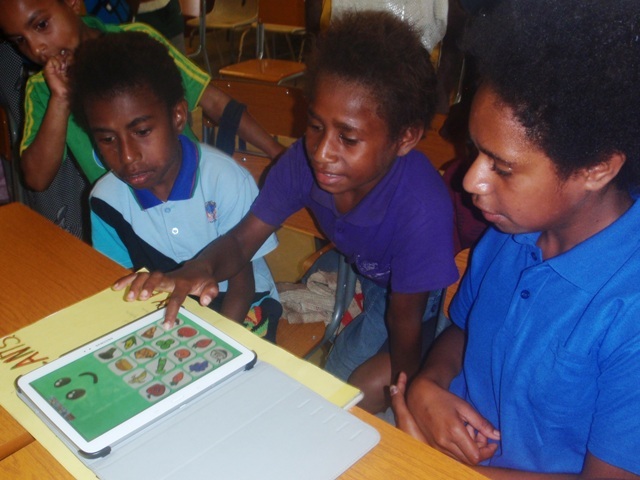 They had no problems in learning the basic skills required to operate the touch screens and interact with the apps, as can be seen in the accompanying photographs. This was a useful exercise that also informed the participating teachers of issues including classroom management. 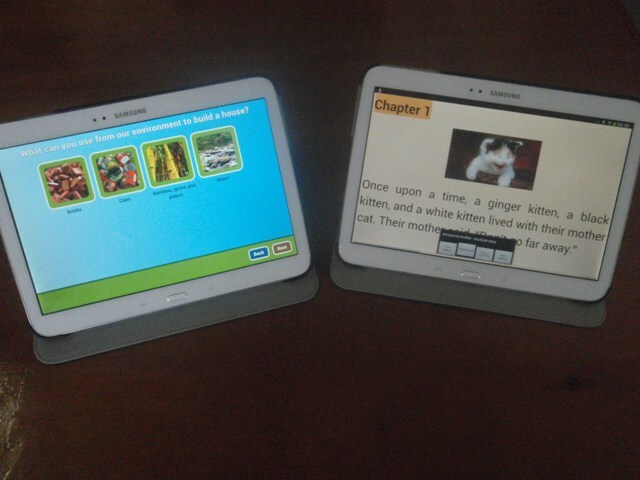 Old and New together: Trying out an educational app, and a “Big Book” teaching resource can also be seen on the table. 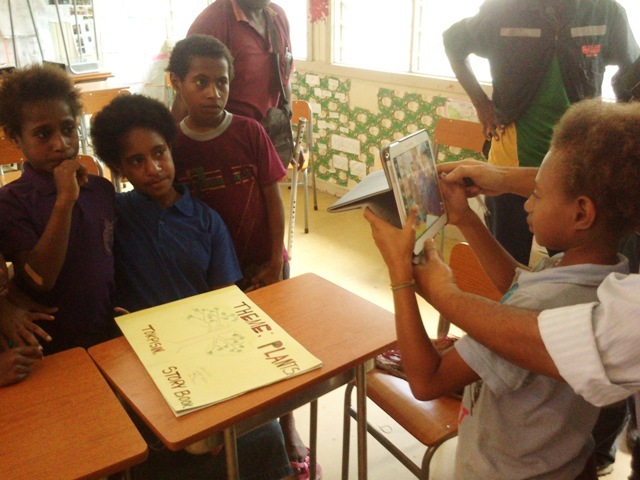 This entry was posted in CIAB news, Migalsim, Phase 1 Schools, TCSSP News and Views. Bookmark the permalink.